Banker Wire is the world’s leading manufacturer of woven and welded wire mesh for architectural and industrial applications. With the most modern and productive mill in the U.S., Banker Wire provides custom-weaved material for any aesthetic on any scale – from intricate design highlights to expansive building facades. Banker Wire’s investment in its people and equipment provides its customers with innovative and value-based products that solve problems and exceed expectations. For more information, call 1-800-523-6772 or visit www.bankerwire.com. At Midwest Custom Stairs & Woodworking LLC we offer our customers an affordable, quality product without sacrificing any attention to detail. 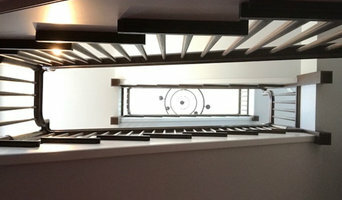 With over 15 years of experience our company has what it takes to turn your dreams into reality whether its an exquisite curved staircase with a beautiful railing system or just a simple straight stair. Combine that with a custom fireplace mantel and/or trim package. Midwest Custom Stairs and Woodworking can take care of all your woodworking desires to put your home a cut above the rest. 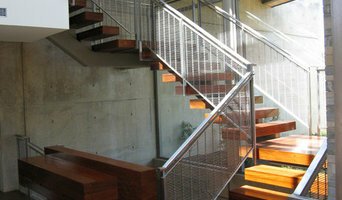 Alpine Custom Stairs & Woodworking, Inc. Custom stairs, custom carpentry, woodworking, mantels, built ins. "We make your vision a reality. If you can dream it, we can build it"